Acmella Oleracea, or Spilanthes Acmella, is more commonly known as the 'Electric Daisy Toothache' plant. Sometimes the flowering heads are referred to as "Buzz Buttons". This is an interesting plant that is native to South America, particularly Brazil. It belongs to the daisy family of plants, Asteraceae, where it partially gets its name. 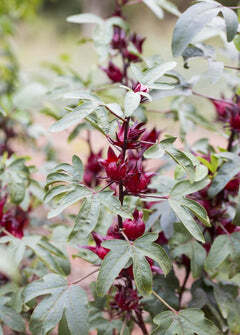 The plant is a short leafy exotic, with beautiful and attractive flowering buds that are gold and red. The plant thrives best in well drained, nutrient rich soil. This plant cannot tolerate frost under any conditions, so should be grown outdoors in a frost free environment or overwintered indoors. The plant has several culinary and medicinal uses. The leaves can be eaten as part of salad, or cooked as a vegetable. The flowering heads have a really curious medicinal effect- when eaten they tingle, numb, and shock the mouth before causing excessive salivation. This medicinal action of the plant has led to the flowering head's being used in some chewing tobacco blends, as well as the creation of an extract based off the plant's primary constituent Spilanthol. This extract is often called Jambu Oil locally. This oil is often used in cooking and is described as being citrus flavored, while still providing the same strange numbing and tingling effects. The plant has been the subject of much academic research revealing it's antimicrobial, antimalarial, and diuretic benefits. For herbalists looking for a unique medicinal to add to their apothecary, or for home gardeners looking for a beautiful exotic ornamental, the Electric Daisy Toothache Plant is a must have!